The star domains of the Three Peoples of the Sixteen Planets, and the Khevox Dominion. 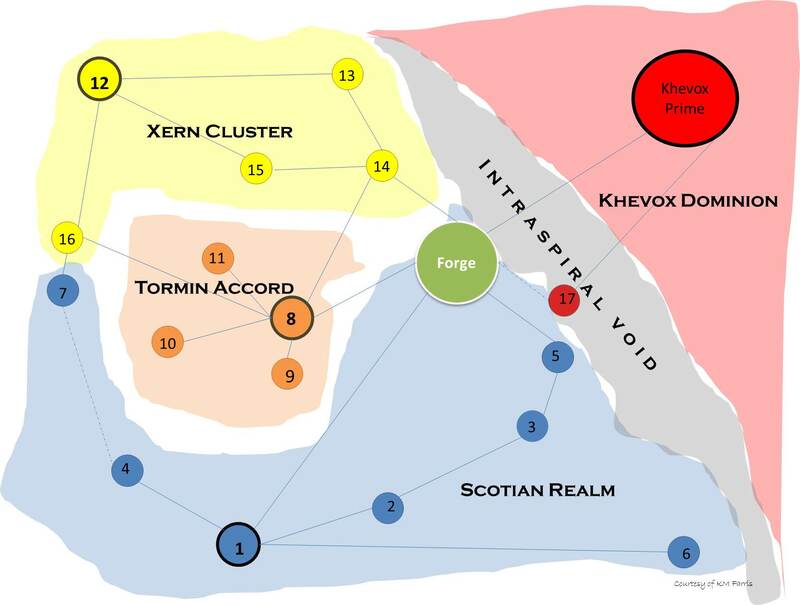 *The Khevox Dominion has many planets; only two are shown here. Thanks for stopping by to comment, Marcelle–have a great summer! You even have a map – I’m totally impressed !!!! You rock TK !